Equipped with 100 mm touch-sensitive motorized faders and AVB networking, the StudioLive® CS18AI control surface provides a compact, intuitive mixing solution for PreSonus® StudioLive RM16AI and RM32AI rack-mount digital mixers and Studio One® 3 digital audio workstation. The CS18AI connects to the network with a CAT5e or CAT6 Ethernet cable, eliminating the need for cumbersome analog or digital snakes and stage boxes, and offers a host of other useful features. It adds up to a powerful mix control system with a fast, intuitive workflow and the latest networking technology. 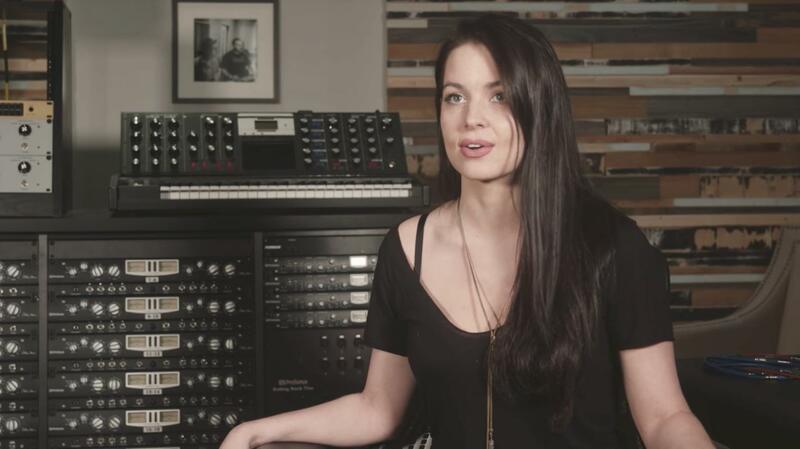 Complete control of StudioLive RM-series rack mixers. 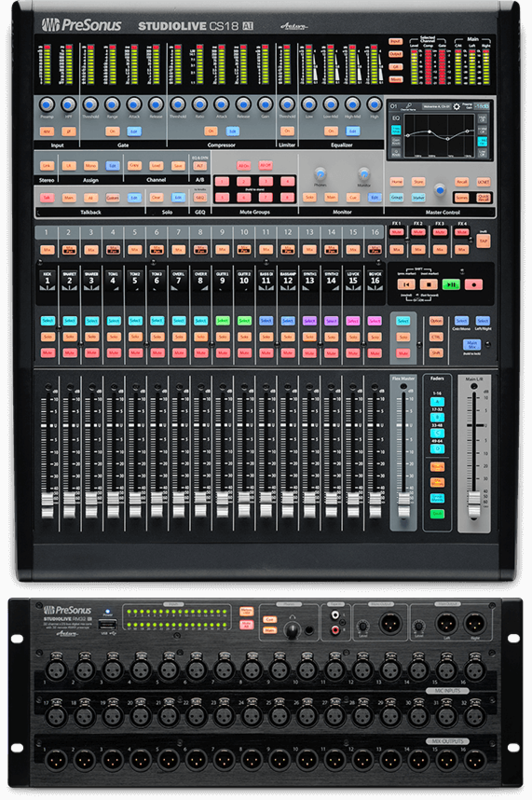 Networked with StudioLive RM-series mixers via PreSonus UCNET technology, the StudioLive CS18AI offers complete hardware control of up to 64-channels and all mixer features. Keep your mixing I/O onstage in a rack, while running the mix from hundreds of feet way, using a lightweight Ethernet cable instead of a cumbersome analog snake and separate stagebox. 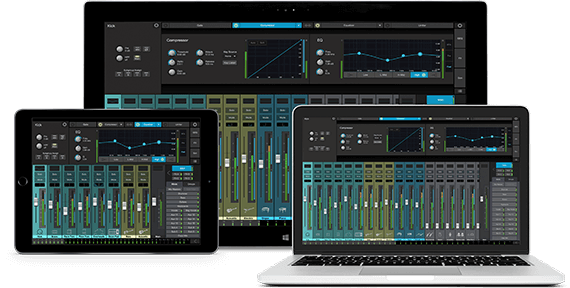 Set up a wireless network and add an iPad®, a large Windows® 8/10 touchscreen, a Mac® or Windows laptop, or any combination for unprecedented mixing and control. 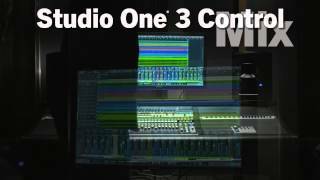 Extensive mix control for Studio One 3. Unlike DAW controllers that give you some faders and generic controls that try to do too much with too little, the StudioLive CS18AI provides extensive hardware control for Studio One 3. Control channel faders and automation, PreSonus and third-party plug-ins, transport control, and more. Controlling Studio One with a CS18AI is like mixing with a large studio console—but more flexible. Filter DCAs are better than layers. Although you can navigate your mixes using traditional layers, a better solution is our unique Filter DCA groups, which bring the elements of the mix to you. 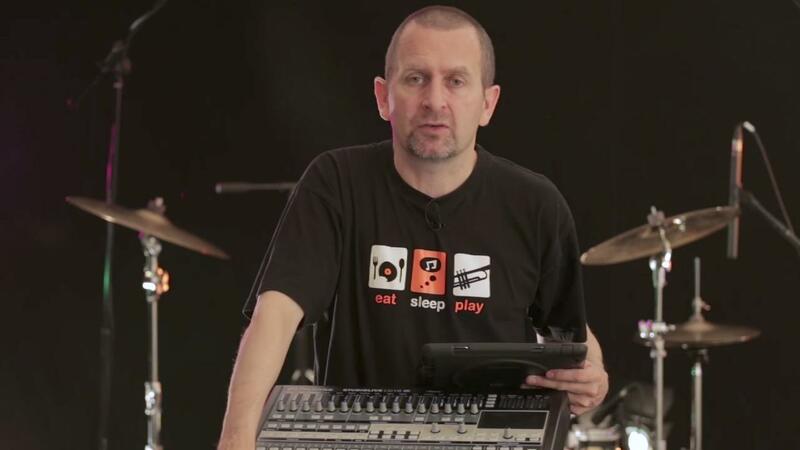 Filter DCAs combine concepts of DCAs and view groups into an intuitive workflow designed to make your life easier when you’re in the heat of a live mix. For instance, rather than trying to remember which layer the lead guitar is on, select your guitar Filter DCA, and you'll have access to your guitar channels. This is going to change the way you mix! For more about Filter DCAs, see our UC Surface page. Through the power and flexibility of AVB audio networking, the StudioLive CS18AI can not only transmit control data but can also send and receive audio channels across long distances. You get two mic/line inputs with PreSonus’ remote-controllable XMAX preamps and two line inputs that you can use as sources for the talkback, 2-track playback, or other sources from front-of-house. The CS18AI’s two TRS line-level returns are shared with the monitor line outputs and headphone output and can be sourced from any RM mixer output, including the solo bus, main mix, or any aux mix. AVB (Audio Video Bridging) is a collection of IEEE 802.1 networking standards that has increased the capacity for information exchange, support, and audio/video product standardization. The promise of AVB is a single digital network to transmit audio, video, and other forms of data via “smart” switches that can process AVB traffic without compromising network integrity. AVB comes standard with StudioLive CS18AI control surfaces and StudioLive RM-series mixers. Every aspect of the CS18AI was designed to help you mix with ease and reliability. RGB Select buttons make it easier to identify channels, layers, and mixes based on color. True touch-sensitive faders know when your finger makes contact so the fader will never fight you, and you can experience real automation functionality in the studio. The CS18AI lights your way through mixing with 146 illuminated buttons; 16 high-res, 64x96-pixel scribble strips; a touch-sensitive, 4.3-inch (109 mm) LCD display; and 20 11-segment LED level ladders. If you need to control it, it lights up. Learn more about touch-sensitive faders. Not all motorized faders are touch-sensitive. Many controllers use motion-sensitive faders that you have to grab and move to change the level, which can be a real problem if you’re trying to write automation or if the fader is already in motion. With the StudioLive CS18AI’s 18 touch-sensitive faders (16 Channel, 1 Flex, and 1 Master fader), you can simply touch a fader to take control. They’re essential when mixing with automation because they allow the system to drop into Automation Record mode the moment you touch the fader and stop recording automation as soon as you release it. In live mixing, touch sensitivity provides valuable channel information, such as the fader value, without actually changing the value. Audio forums have plenty of laments about some manufacturers’ moving faders “jumping their belts” or simply burning out. PreSonus uses ultra-high-duty-cycle, motorized faders that have been put through thousands of hours of rigorous testing to ensure quality performance. They won’t break, even after years at front-of-house in a smoke-filled club. 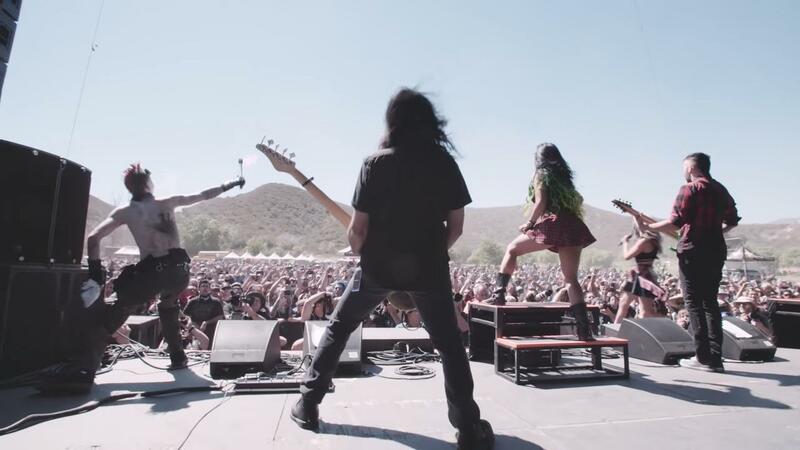 When you’re mixing a live show, and the heat is on, PreSonus’ UC Surface battle-ready, touch control software for Mac, Windows, and iPad has your back, enabling you to accomplish your mission with confidence and providing fast, intuitive access to everything you need. 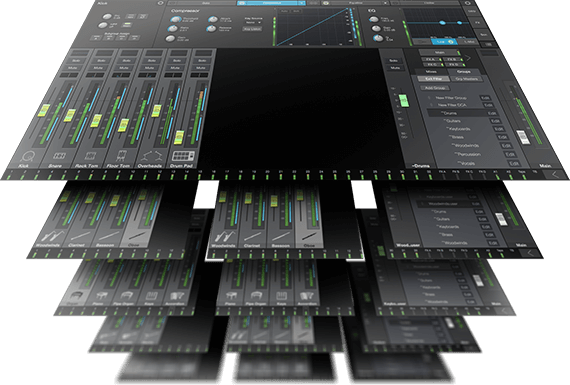 UC Surface can directly control any StudioLive RM rack mixer or StudioLive AI console, and it also works in tandem with the StudioLive CS18AI as an extension to the physical controller, offering complementary views, full metering, and scene recalls. Mix with the CS18AI at front-of-house, or mix from anywhere in the venue using UC Surface for iPad, or both. Either way, you’ll enjoy a fast, smart workflow designed for live mixing. Get your hands on a StudioLive CS18AI. A StudioLive CS18AI, StudioLive RM Active Integration rack mixer, and Studio One 3 DAW are an unbeatable combination for value and sheer mixing power. Touch a StudioLive CS18AI today at your favorite PreSonus dealer. The CS18AI was responsive and easy to use. Setup was simple, and the control surface automatically recognized both an RM-series mixer and Studio One software without a fuss. 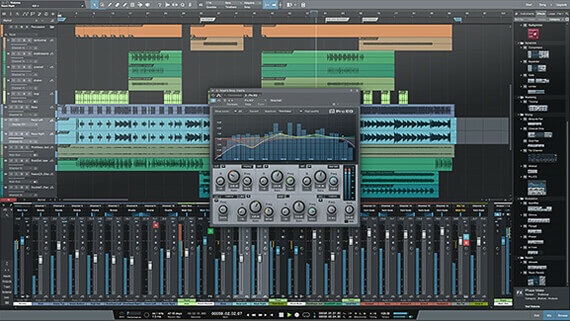 I was really impressed with how well it interfaced with PreSonus’ Studio One DAW.